Due to increased air travel, growing cargo needs, and an aging infrastructure, the Airports Council International – North America estimates that the United States needs to spend almost $100 billion on airport infrastructure through 2021. Such funding would help improve terminal buildings, airfield capacity, reconstruction, and surface access. 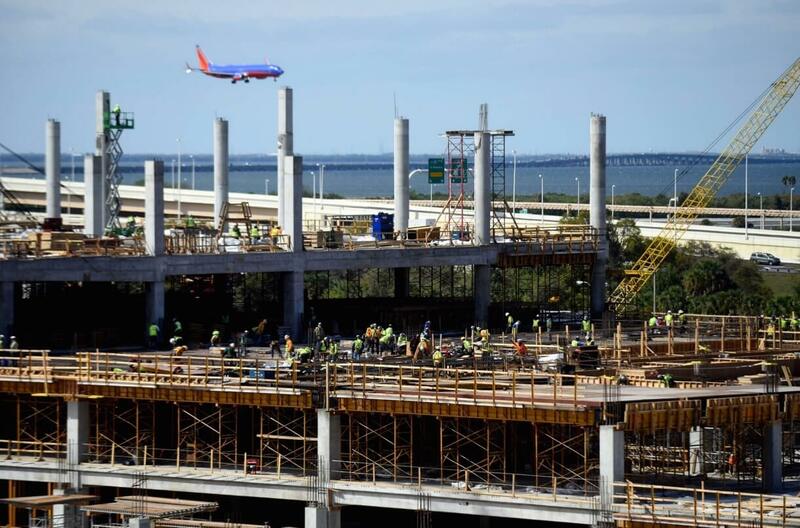 Having been in operations since the 1950s, Tampa International Airport (TPA) had gone through several such improvements over the decades, but still needed a large-scale expansion. In 2011, the airport began updating its master plan which would allow it to increase capacity to 35 million passengers a year. To handle the influx of additional travelers and upgrade worn out infrastructure, TPA awarded contracts in 2016 to begin the work. The scope included the main terminal expansion project which, among other things, had requirements for new roofing, new runways, additional room for retailers, a 2.6-milllion-square-foot rental car center, a 1.4-mile automated people mover, and new concession space. Airport expansions and upgrades need to happen quickly to minimize the impact on the flying public. It was critical that TPA select the right team with the experience and knowledge to execute on the tight schedule and handle the challenging logistics. For this design-build project, Skanska Building USA was selected as General Contractor for major portions of the work. Skanska consulted the Building Solutions team at CRH during the planning process after having worked on several projects together throughout the east coast. 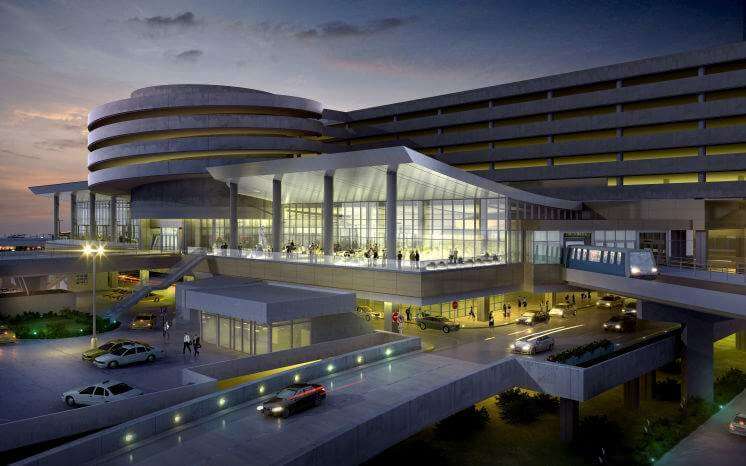 “When you have something complex, like the airport, you’ve got to bring in someone with that expertise to the table,” said Roger Stephan, who, at the time, was Senior Vice President for Skanska during the project. Extensive product knowledge, expertise, and a wide breadth of innovative solutions is what Building Solutions Executive Vice President Glenn Northey was able to offer Skanska for this project. The tight schedules and sometimes challenging technical specifications on airport projects can be difficult to meet. Having an owner or contractor who is open to having the supplier involved early to assist with logistics such as delivery and closures, requirements, and mapping out the schedule can greatly benefit the project. Northey was able to connect other CRH businesses to get them involved early with Skanska as well. CRH’s large footprint – along with regional abilities, business intelligence capabilities, and cutting-edge materials – helps owners and general contractors source the products and materials they need easier. On this project, CRH provided roofing materials, and Preferred Materials Concrete, A CRH Company, poured the foundations for the people-mover train and some lightweight concrete in the terminal, for a total volume of 5,650 yards. 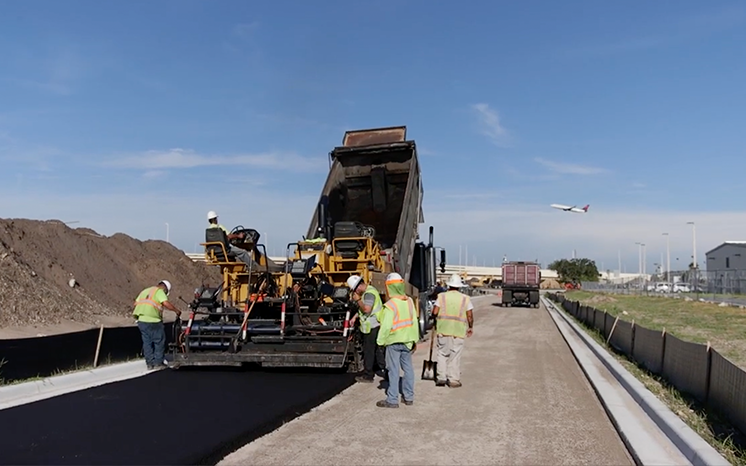 Preferred’s Private and Commercial Division was contracted for the airport’s roadway improvement to decongest the roads and main terminal. Preferred Materials Asphalt provided 8,600 tons of asphalt. In addition to design assistance, logistics, and innovative materials, a truly collaborative approach with the right team can impact a project's success. CRH also provided roofing recommendations and alternatives to the specific product that saved considerable money and offered a superior warranty. Are you planning a project with complex logistics, scheduling, or design? Contact our team of experts today to get connected to the right partners and solutions.